Maes Van Buren was born in the Netherlands in 1568. The small village was called Buurmalsem, in the province of Gelderland, near the town of Buren, a few miles from the Rhine. His son, Cornelis Maesen, was born in 1612-1613, also in Buyrmalsen. 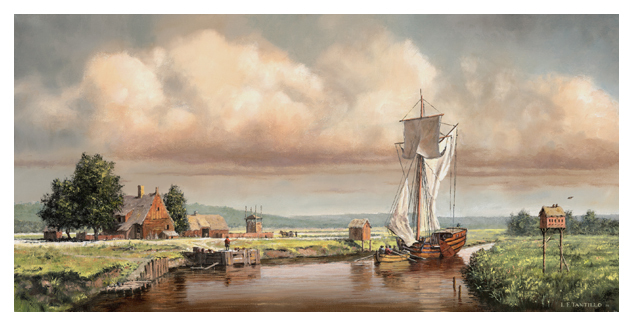 In 1631, Cornelis sailed for New Netherland(an area today comprised of New York, New Jersey, Deleware, and Connecticut) as a farm laborer aboard the Eendracht, having been hired by a patroon on May 27th, for a period of three years. 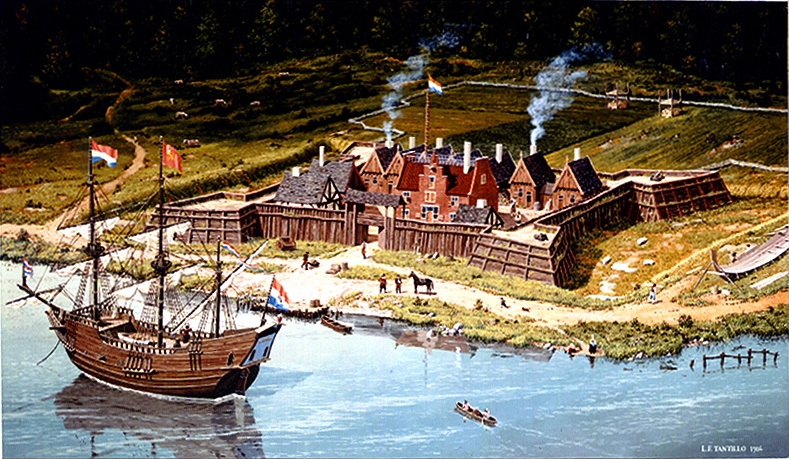 He arrived at Fort Orange, a fur trading post erected by the Dutch West India Company in 1624 along the Hudson River, just south of where Albany, New York is located today. After completing his three year commitment, he returned to Holland shortly after Aug. 2, 1634, and married Catalynje Martense(born 1614-15 in Holland). On August 15, 1636, Cornelis entered into a new contract with patroon Killian Van Renssaelear and sailed the same year aboard the Rensselaerswyck, accompanied by his wife and a servant named Cornelis Teunisz, who hailed from Westbroeck. Click HERE for the captain's log of the journey. During the voyage, on January 30, 1637, Catalynje gave birth to their first child, Hendrick Cornelisz. The family arrived in the colony the second time about April 17, 1637. From that time till his death, they occupied a farm on or near Papscanee Island. The rent paid from Cornelis to Van Renssaelear was 10% of his annual harvest, or one hundred bushels of wheat, oats, rye, and a few peas. On October 24, 1646, Cornelis purchased a piece of property described as: "A house and plantation at the North River on the Island of Manhattan, next to Wouter van Twiller and Thomas Hall." It was located between the present Christopher and 14th Streets, with boundaries near to those streets and doubtless having North River frontage. Cornelis Maesen and his wife died sometime before April 8, 1648, and were buried on the same day on Papscanee Island, the cause of their deaths lost to history. Their effects were sold at auction in 1649. The couple died intestate so their children: Marten, Hendrick, Maes, Styntje, and Tobias, all aged 11 years and younger, were put under the care of guardians, Teunis Dircksz Van Vechten and Cornelis Teunisz. Cornelis and Catalynje's second son, Marten Cornelise Van Buren(born 1638-1639 at Fort Orange, New York), married Marytjie Quackenbosch(born 1646 in Questgeest, near Leider, Netherlands) at Fort Orange in 1665. Marten owned a house and barn in Bethlehem, Albany Co., which he sold in 1662. Marten leased half of Constapel Island from Teunis Spitsbergen, south of Albany, and Marytjie died there in December of 1683. In May 1693, Marten married a second time, to Tanneke Adams, widow of Pieter Pieterson Winne. Marten died on November 13th, 1703, in Kinderhook, New York. Click HERE to read his last will and testament. Marten and Marytjie had a son, Pieter Martense Van Buren(born 1670 in Fort Orange, Albany, New York) who married Arriaantje Barentse Meindersen(daughter of Barent & Eytie Meindersen) on January 15th, 1693 in Albany, New York. They settled in Kinderhook, where Pieter was listed as a freeholder in 1720. Pieter died on November 24th, 1755. Pieter and Arriaantje had a son, Barent Van Buren(born 1/20/1695 in Albany, New York) who married Maria Winne(born about 1699 in Bergen, New Jersey, Albany, New York) on 12/29/1719 in Bergen, New Jersey, Albany, New York. Maria was the daughter of Frans Winne & Elsie Gansvoort. According to an old map, Barent lived in the town of Ghent, New York, on the road called Klyne Kill, in 1767. Click HERE to read Barent's last will and testament. Barent's brother, Marten Van Buren, would later be grandfather to Martin Van Buren, the 8th President of the United States. Barent and Maria had a son, Pieter B. Van Buren(born in 1733 in the Reformed Dutch Church in Kinderhook, New York) who married Dorothea Fryemoet(born 1743) on 9/29/1771 in Kinderhook, New York. Dorothea was the daughter of Domine Fryemoet of Kinderhook. Barent was the justice of the peace from 1813 to 1827. In 1817, was a member of the assembly. In 1818, he was poormaster for the town of Ghent. He was supervisor for Ghent from 1825 to 1828 and again in 1836. He was an elder in the Reformed Dutch Church at Ghent. In 1820, he released his slave "Cato" and gave him his liberty. He died on 1/22/1849, and is buried in Ghent, New York. Barent and Catherine had a son, Evert Van Buren(born 11/3/1803 in the Reformed Dutch Church in Kinderhook, New York) who married Catherine Smith(born about 1807 in Saint Lukes Mill, Valatie, Columbia, New York) on 12/7/1826 in Saint Lukes Mill, New York. Catherine was the daughter of Daniel & Alona Smith. Barent and Catherine had 8 children: Augustus(b.1829), Caroline(b.1831), Catherine(b.1834), Kate(b.1836), Barent Smith(born 11/19/1836), Evert(b.3/9/1839), Elizabeth(b.1842), and Frederic(b.1843). 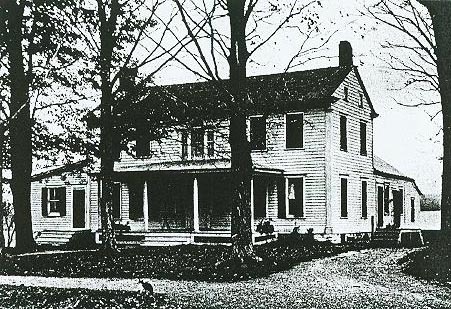 In the censuses of 1830 and 1850, the family resided in the town of Milo, in Yates County, NY. They have two servants: Clara Winters(42) and Alfred Ogden(19), who may or may not have been slaves. Evert Van Buren was a prominent lawyer. In 1860, the family moved to Chicago, living at 144 Rush Street. They had 3 servants: Catherine Shut(22), Ann Shut(17), and John Byer(17), all from Germany. Evert Jr., 21-years-old at the time, was a student of law. Click HERE for more information about his life. Evert Sr. married again on 6/13/1878 to Mrs. Harriet Cheseldine of Keokuk, Iowa. Evert died on 2/12/1885 in Chicago. Catherine(8), & Harriet(2). James, Barent's 29 year-old newphew, was also staying with them. He was a machinist. They're last child, Louis, would come a year later in 1881. Two properties away lives Frederic Vanburen, a brother, 3 years younger than Barent. Frederic lives with his wife, another Mary, his children Frederic(6) and Caroline(3), and his sister Kate Gillette(22). In 1891, Catherine Vanburen(19) married Thomas Sunderland(22), thus ending the Van Buren line in our family tree. By 1918, Mary and Louis had moved to Helena, Montana, Lewis & Clark County. Louis left Sadie and Dorothy in Chicago with Sadie's parents, Martin & Hanah Jennings(both born in Pennsylvania). In Montana, Mary & Louis lived at 1003/1005 Breckenridge Street, very near Montana's state capital building. The census lists Louis as a civil engineer. They had a "roomer" living with them named Harry Delaney. In 1920, he was 36 years-old, and working as a miner. 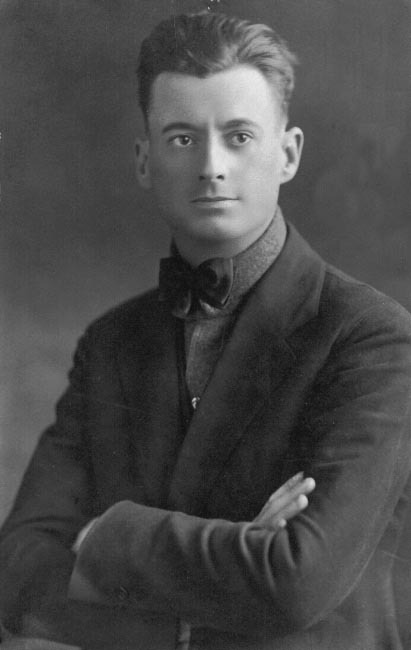 Harry's father, Edward P. Delaney, was born in Massachusetts, his mother, Alma (Holland) Delaney, was born in New York. I'm not sure why, but on January 6th, 1920, Sadie is listed as a widow in Chicago. Two weeks later, Louis is listed in the Montana census, very much alive. 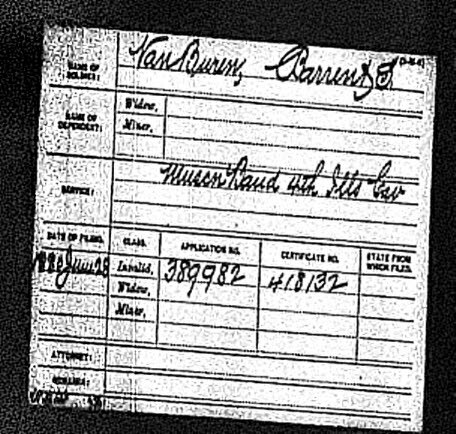 His death certificate lists the date of his passing as June 18th, 1921. The cause of death is "tuberculosis lungs", and notes that the disease was contracted while visiting Los Angeles, California. Even more confusing, his death certificate lists a surviving widow named Margaret. He was buried on June 22nd, 1921 at Resurrection Cemetery, in Helena. 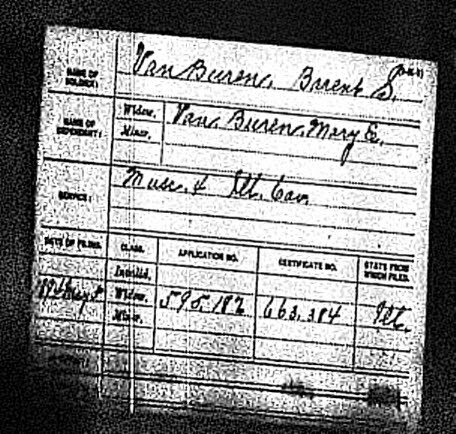 Mary Van Buren died on March 3rd, 1928. She was 81-years-old. She was buried on March 10th, in Resurrection Cemetery, right next to Louis(in the St. Matthew lot, graves 3 & 4). Click HERE to view our Van Buren family tree(scroll to bottom of page).